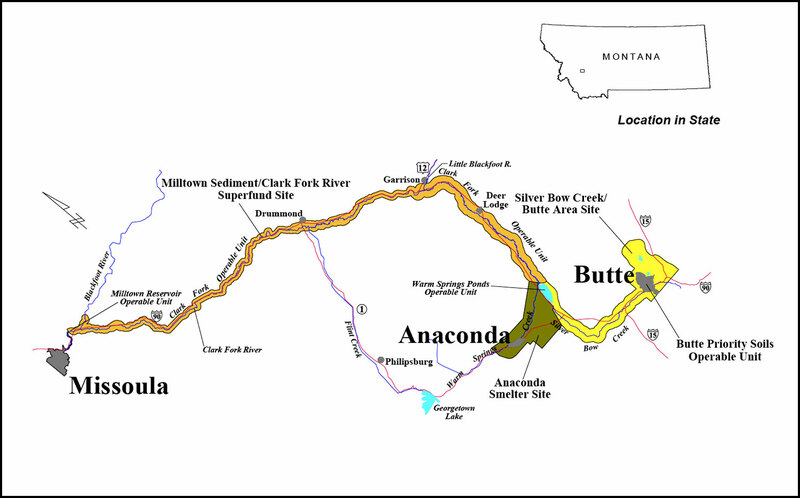 The boundary of the Silver Bow Creek/Butte Area site begins above Butte, near the Continental Divide, and extends westward along Silver Bow Creek to and including the Warm Springs Ponds, treatment area and wildlife management area approximately 20 miles west and north of Butte; see the map below for details. The site covers about 40 miles of stream and streamside habitat, with early sections running through urban Butte. Most of the creek, except portions running through Butte, is part of the Streamside Tailings Best prednisone price. 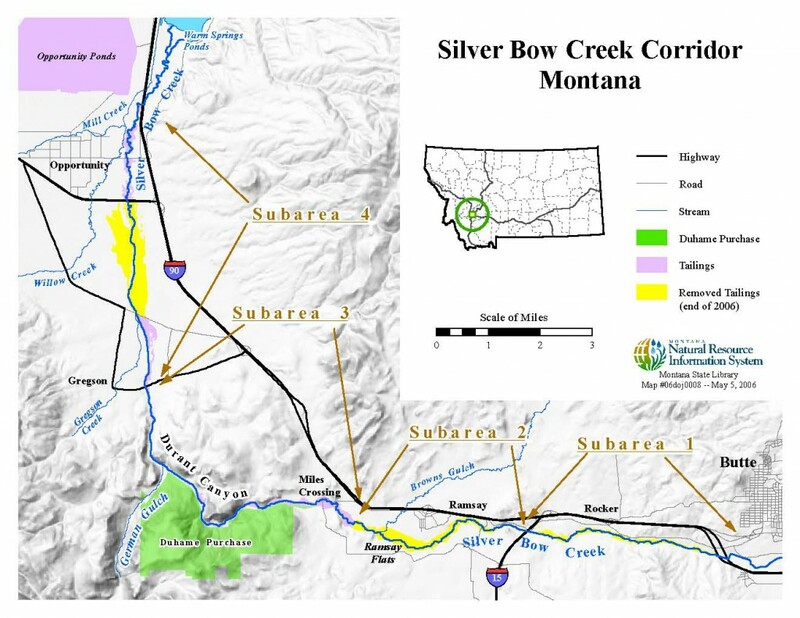 Download the latest (Spring 2012) Silver Bow Creek update from the Montana Department of Environmental Quality (DEQ) below. 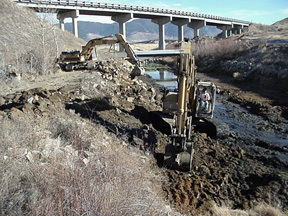 The latest (Spring 2012) update on the cleanup and restoration of Silver Bow Creek from the Montana Department of Environmental Quality (DEQ). The update includes background information, cost and expenditure breakdowns, and a summary of recent and ongoing work. Silver Bow Creek immediately west of Butte prior to restoration. 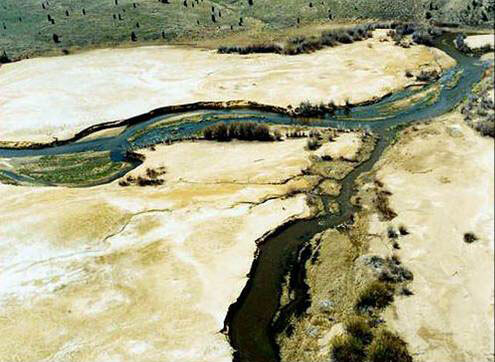 Toxic mine tailings prevent vegetation from growing on the Silver Bow Creek floodplain west of Butte at its confluence with Brown’s Gulch prior to restoration. Silver Bow Creek was used as a conduit for mining, smelting, industrial and municipal wastes for more than a hundred years. Treated sewage from Butte-Silver Bow county continues to be discharged into the creek and is one of the primary factors currently impeding additional recovery of creek ecosystems, although there have been many signs of improvement since restoration was completed on some sections of the creek. 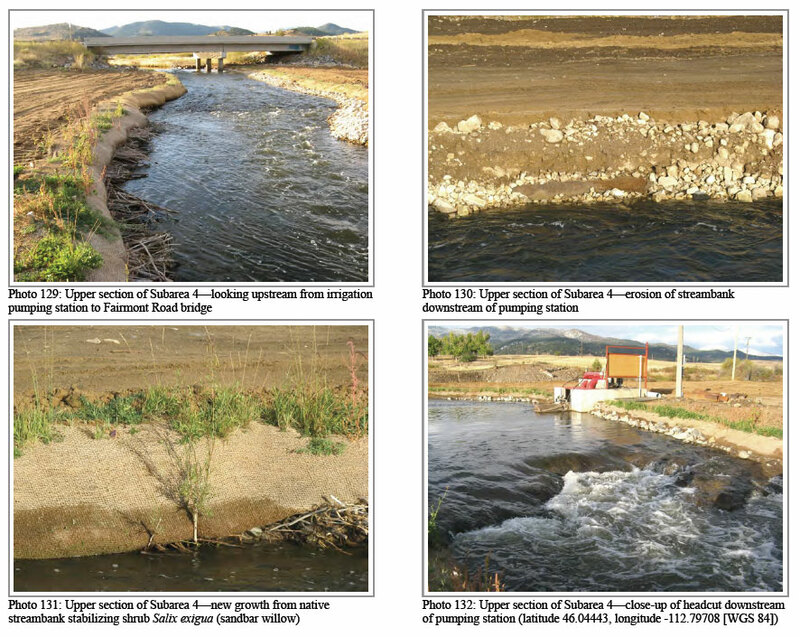 Photos of restored areas of Silver Bow Creek from 2009, taken from the EPA Five Year Review Report on the site (2011). Note that this reach of the creek, immediately west of urban Butte (Subarea 1), has showed improvements in vegetation since 2009. 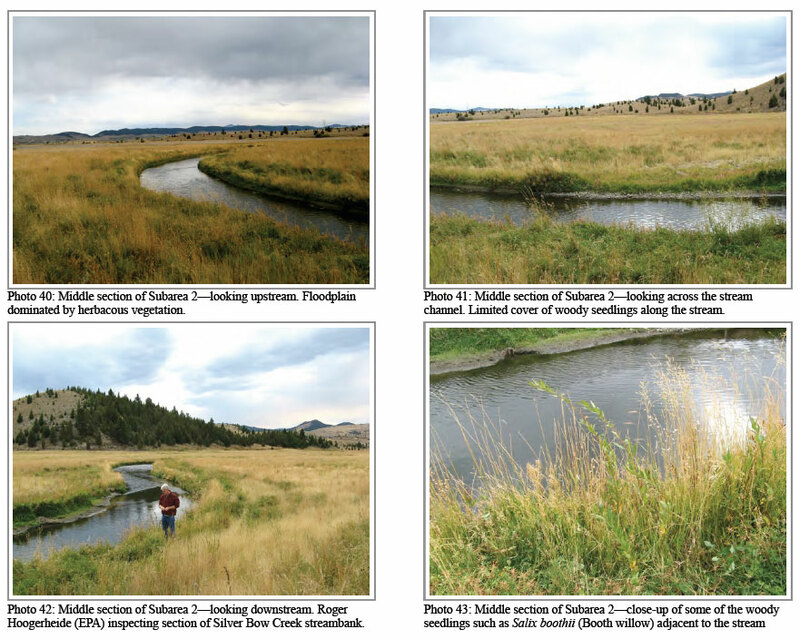 Photos of restored areas of Silver Bow Creek near the town of Ramsay (Subarea 2, nearing Subarea 3) from 2009, taken from the EPA Five Year Review Report on the site (2011). Vast deposits of historic mine tailings are found along the creek. These deposits contain elevated levels of metals and have been dispersed over the entire flood plain. Many deposits have been removed as part of ongoing restoration, and remaining toxic deposits will be removed and the creek restored. 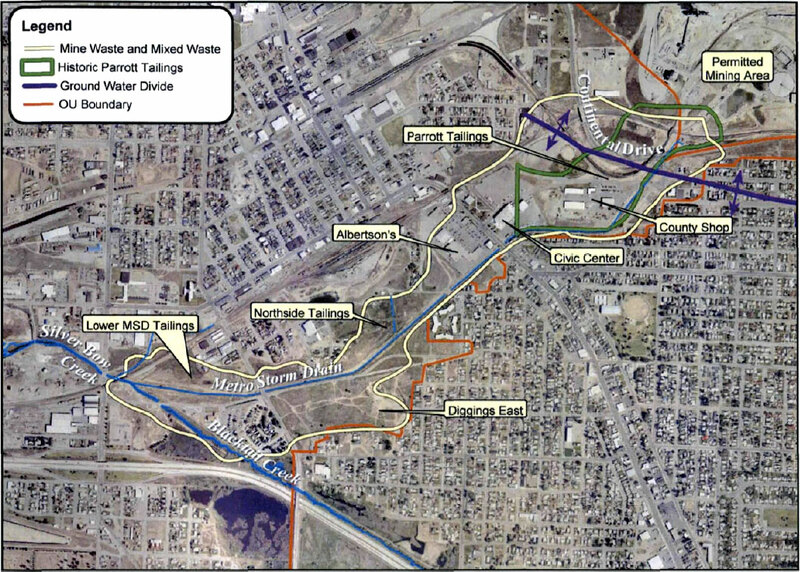 Questions remain regarding the mobility of buried mine wastes in Butte and their connectivity to Silver Bow Creek. Toxic mine tailings are removed from the banks of Silver Bow Creek. Tailings are then typically moved to the BP-ARCO Waste Repository near Opportunity. 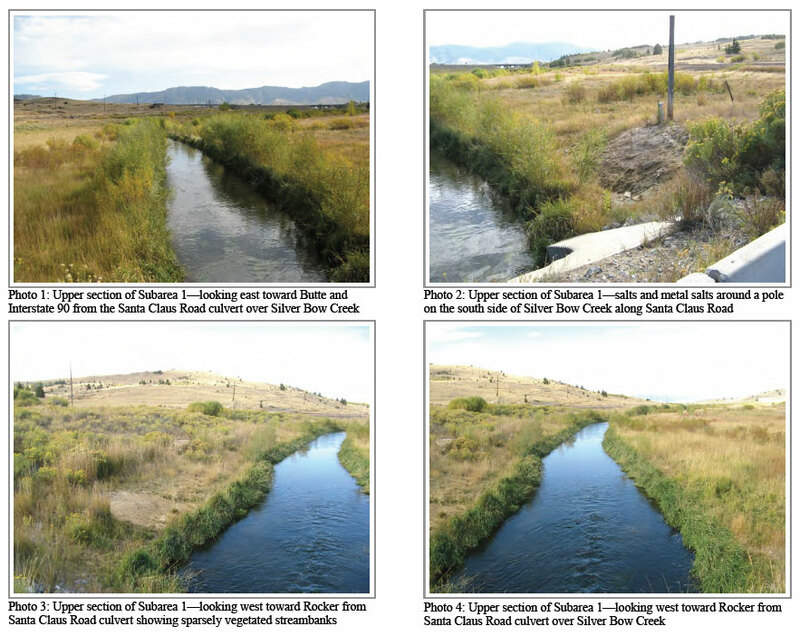 Under the Streamside Tailings Operable Unit, restoration of the creek, which involves removing mine tailings and reconstructing the stream channel with clean material, has been completed along Silver Bow Creek west of Butte to Miles Crossing, where the creek enters Durant Canyon. Restoration work is ongoing through Durant Canyon. In November 1995, the Montana Department of Environmental Quality (DEQ) and EPA issued a Record of Decision (ROD) for the Streamside Tailings area. Tailings are impacted soils contaminated with historic mine waste that cannot be safely treated and stabilized in place. Some modifications to the cleanup plan were made in 1998, and are explained in the EPA Explanation of Significant Differences. Tailings deposits are being removed from the floodplain of Silver Bow Creek and placed in repositories, primarily the Cheapest prices for lasix, near the town of Opportunity. Lime amendment in place and revegetation are used to treat some tailings deposits left in-place. Fine-grained in-stream sediments located in Silver Bow Creek are removed and placed in repositories. Construction on upper portions of the creek began in fall 1999. Further downstream, Silver Bow Creek enters the south end of the Deer Lodge Valley, passing near Fairmont and Anaconda. Restoration has been completed for some creek reaches in this area, and is ongoing at others. Downstream of Anaconda, Silver Bow Creek flows into the Warm Springs Ponds, a treatment system constructed in the early 20th century to reduce the volume of mine wastes from the Butte mines and Best price for generic diflucan flowing out of Silver Bow Creek into the Clark Fork River. Brief overviews of recent work at all operable units can be found in the EPA Bulletin from June 2010 and the EPA Bulletin from December 2010. The EPA also has an overview of the site at this page. The EPA Site Profile can be found at this link. A detailed list of cleanup activities at the site can be viewed at the EPA Superfund Information Systems page, where users can also access additional site documents and additional information about Operable Units and contaminants of concern. 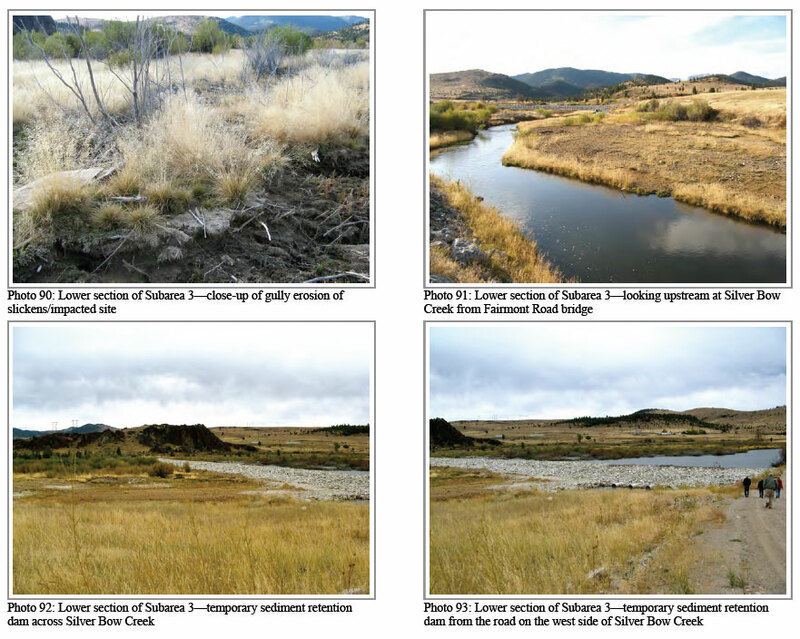 Photos of restored areas of Silver Bow Creek near Fairmont (Subarea 3) from 2009, taken from the EPA Five Year Review Report on the site (2011). Cleanup is ongoing in a separate area of Subarea 3, Durant Canyon, between the town of Ramsey and Fairmont. In 2011, EPA completed the third five-year review of the Silver Bow Creek/Butte Area site. Using the links below, you can download and view the the final report and appendices, including comments received during the public comment period, related to Silver Bow Creek, or visit our Ventolin side effects to download these and other site documents. Photos of areas of Silver Bow Creek near Anaconda (Subarea 4) taken from the EPA Five Year Review Report on the site (2011). Cleanup in this reach of the creek is ongoing and nearing completion. The location of Silver Bow Creek itself in urban Butte has been disputed. Historically, the creek began to the north and east of Butte. Historic and ongoing mining have made it virtually impossible to determine where and how Silver Bow Creek flowed near its headwaters prior to human impacts. The remaining segment of the historic creek channel passing through Butte has been re-designated as the Metro Storm Drain (or MSD), and EPA handles this channel distinctly from Silver Bow Creek west of Butte. A groundwater capture system called a French drain was installed beneath the Metro Storm Drain to capture contaminated groundwater and prevent it from reaching the downstream reaches of Silver Bow Creek and nearby Blacktail Creek. Work is ongoing at the site to further insure that contaminated groundwater does not reach relatively clean surface water in the creeks, as discussed on the Lower Area One page. Silver Bow Creek as it flows through urban Butte. EPA refers to this stretch of the creek, which was the most heavily impacted by historic mining and smelting, as the Metro Storm Drain. This section of the creek is considered separately from the main creek in the Streamside Tailings Operable Unit. Map from the EPA Record of Decision (ROD) for the site (2006). Site documents can also be downloaded directly from the CTEC Ventolin side effects. Many Superfund documents can be very technical and difficult to understand. We are here to help – if you have questions or comments about any Superfund document, Get retin online for assistance. Detailed information about ongoing restoration can be found at the Montana Natural Resource Damages Program (NRDP) website. For more on Silver Bow Creek’s connection to other Butte Superfund sites, visit the Silver Bow Creek in Butte page. For more information on the relationship between Butte ground and surface water and Silver Bow Creek, refer to the Lower Area One page. 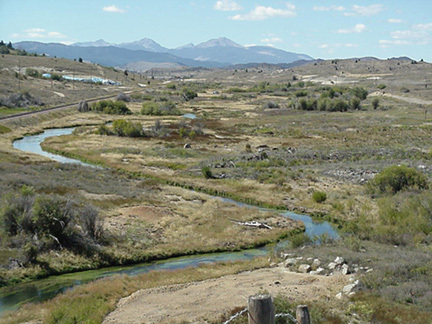 For information about Silver Bow Creek’s lowest reach, refer the Warm Springs Ponds page.